An economic model is a simplified version of reality that allows us to observe, understand, and make predictions about economic behavior. The purpose of a model is to take a complex, real-world situation and pare it down to the essentials. If designed well, a model can give the analyst a better understanding of the situation and any related problems. A good model is simple enough to be understood while complex enough to capture key information. Sometimes economists use the term theory instead of model. Strictly speaking, a theory is a more abstract representation, while a model is a more applied or empirical representation. Often, models are used to test theories. In this course, however, we will use the terms interchangeably. Watch this video to get a better grasp on economic models and why they are useful to economists in making predictions about behavior. Economists use models as the primary tool for explaining or making predictions about economic issues and problems. For example, an economist might try to explain what caused the Great Recession in 2008, or she might try to predict how a personal income tax cut would affect automobile purchases. Economic models can be represented using words or using mathematics. All of the important concepts in this course can be explained without math. That said, math is a tool that can be used to explore economic concepts in very helpful ways. You know the saying “A picture is worth a thousand words”? The same applies to graphs: they’re a very effective means of conveying information visually—without a thousand words. In addition to being a “picture,” a graph is also a math-based model. The use of algebra is a specific way that economics express and explore economic models. Where graphs require you to “eyeball” a model, algebra can give you more precise answers to questions. For example, if a business puts their product on sale for 10% off the regular price, how much more will consumers buy? Similarly, using the algebraic formula for a line allows economists to find precise points on a graphs that help in interpreting how much of a good should be sold, or at what price. Why would an economist use math when there are other ways of representing models, such as with text or narrative? Why would you use your fist to bang a nail, if you had a hammer? Math has certain advantages over text. It disciplines our thinking by making us specify exactly what we mean. You can get away with fuzzy thinking and vague approximations in your own mind, but not when you’re reducing a model to algebraic equations. At the same time, math has certain disadvantages. Mathematical models lack the nuances that can be found in narrative models. The point is that math is one tool, but it’s not the only tool or even always the best tool economists can use to work with economic models. Figure 1. 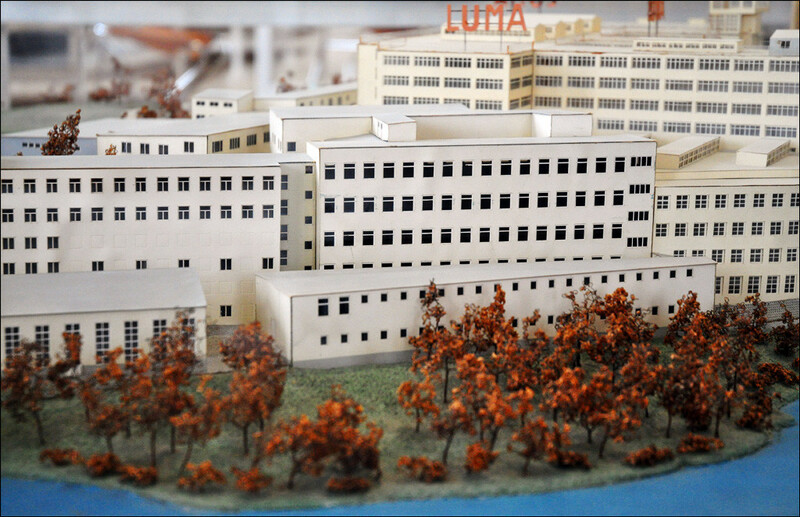 A architectural model. An architect who is designing a major office building will probably build a physical model that sits on a tabletop to show how the entire city block will look after the new building is constructed. Companies often build models of their new products that are rougher and less finished than the final product but can still demonstrate how the new product will work and look. Such models help people visualize a product (or a building) in a more complete, concrete way than they could without them. Similarly, economic models offer a way to get a complete view or picture of an economic situation and understand how economic factors fit together. A good model to start with in economics is the circular flow diagram (Figure 2, below). Such a diagram indicates that the economy consists of two groups, households and firms, which interact in two markets: the goods-and-services market (also called the product market), in which firms sell and households buy, and the labor market, in which households sell labor to business firms or other employees. Figure 2. The Circular Flow Diagram. Of course, in the real world, there are many different markets for goods and services and markets for many different types of labor. The circular flow diagram simplifies these distinctions in order to make the picture easier to grasp. In the diagram, firms produce goods and services, which they sell to households in return for payments. The outer ring represents the two sides of the product market (which provides goods and services), in which households demand and firms supply. In addition, households (as workers) sell their labor to firms in return for wages, salaries, and benefits. This is shown in the inner circle, which represents the two sides of the labor market, in which households supply and firms demand. This version of the circular flow model is stripped down to the essentials, but it has enough features to explain how the product and labor markets work in the economy. We could easily add details to this basic model if we wanted to introduce more real-world elements, like financial markets, governments, or interactions with the rest of the world (imports and exports). Economists reach for theories in much the same way as a carpenter might grab a tool. When economists identify an economic issue or problem, they sift through the available theories to see if they can find one that fits. Then they use the theory to give them insights about the issue or problem. In economics, theories are expressed in models as diagrams, graphs, or even as mathematical equations. Counter to what you might expect, economists don’t figure out the solution to a problem and then draw the graph. Instead, they use the graph to help them discover the answer. In this way, these graphs serve as models to make inferences about behavior. At the introductory level, you can sometimes figure out the right answer without using a model, but if you keep studying economics, before too long you’ll encounter issues and problems whose solution will require graphs. Both micro and macroeconomics are explained in terms of theories and models. The most well-known theories are probably those of supply and demand, but you will learn about several others.